You would think that would get old, right? How could one man preach the same message over and over again all over the country and continue to get people to actually respond? And in fact they did respond—in droves. You would think that if it were a big and charismatic personality out front with a trendy haircut, mellow on the sin, light on the scriptures, and heavy on the froth of entertainment, then maybe it would be easy to see how someone might get caught up in the moment and just want to maximize it to the fullest and think, “Nothing is stopping me from getting inches away from the coolest preacher I ever heard! Yeah!” But that wasn’t the case. It didn’t seem like there was anything particularly fancy about his message or appearance that would compel one to get out of their seat and inconvenience the many people in their row, then walk across a stadium before thousands to say a prayer. I just didn’t get it. The picture of this looked so foolish that it convinced me it had to be the power of God at work—to pack stadiums across the country and the world full of people who were willing to hear a simple message, a message one could easily get at just about any Bible-teaching corner church in America, and yet hundreds of thousands of people came and gave their hearts to Jesus as their Lord and Savior. As I got older and matured in my faith, I realized for myself the power of the Gospel in a personal way. I knew what my life could’ve been had I not given it to him at such an early age, and I knew what my peers’ lives were like who had not made that eternal decision yet. My heart was burdened for them. I longed for my friends and classmates to know the Lord as I did and to go through life being able to start over and know that the God of all creation was with them. As my senior year of high school approached, we had to do a project on our future career, suffice to say it was not on what I’m doing now (hint: don’t plan your whole life in high school—it’s guaranteed to change), but I knew in my heart that whatever I was going to do I would use it as a tool for evangelism. At the time, I did not know what role the Lord would have for me, but I knew that I better get acquainted with evangelism, and who best to teach someone about that than the Billy Graham Evangelistic Association. I heard they were coming to my hometown in 2006, and at the time it was Billy Graham’s son Franklin who was leading the efforts. I along with my mom decided to volunteer for the crusade coming to town, and I had the opportunity to participate in some pretty cool things and even got to share my testimony on video for their youth night. Billy Graham’s life and ministry illustrated to me that it was truly the power of God that brings salvation and that he has no problem using people who we might consider the weak or the foolish of this world to confound the wise and do great and mighty things through them. 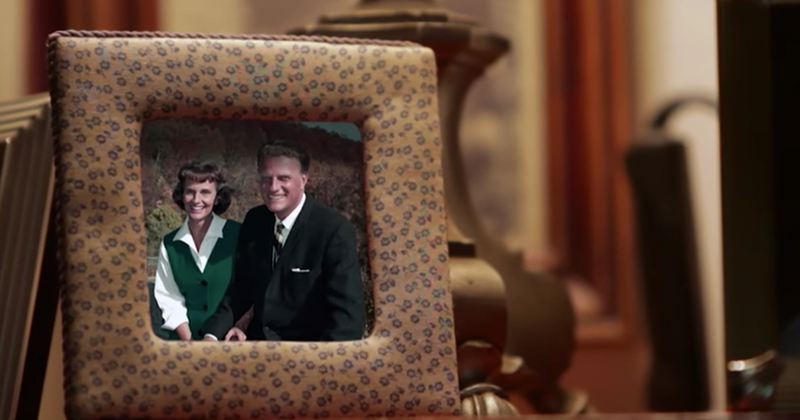 Because of Billy Graham, I could see for myself that it was possible for God to take an ordinary existence mixed with humble faithfulness and cause supernatural results. I wasn’t sure where my life was going during that senior year, but I learned that I wanted it to be dedicated to the simple message “that Jesus Christ came, he died on a cross, he rose again, and he asked us to repent of our sins and receive him by faith as Lord and Savior, and if we do, we have forgiveness of all of our sins.” Thank you, Billy Graham.